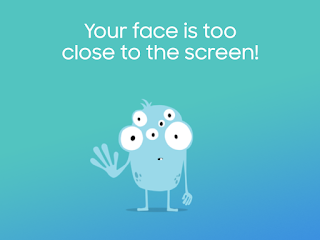 Samsung App that can stop kids holding phones too close to their faces - Something New Everyday! When this happens, a "friendly" animation (pictured on the right) pops up and the screen is shut down. 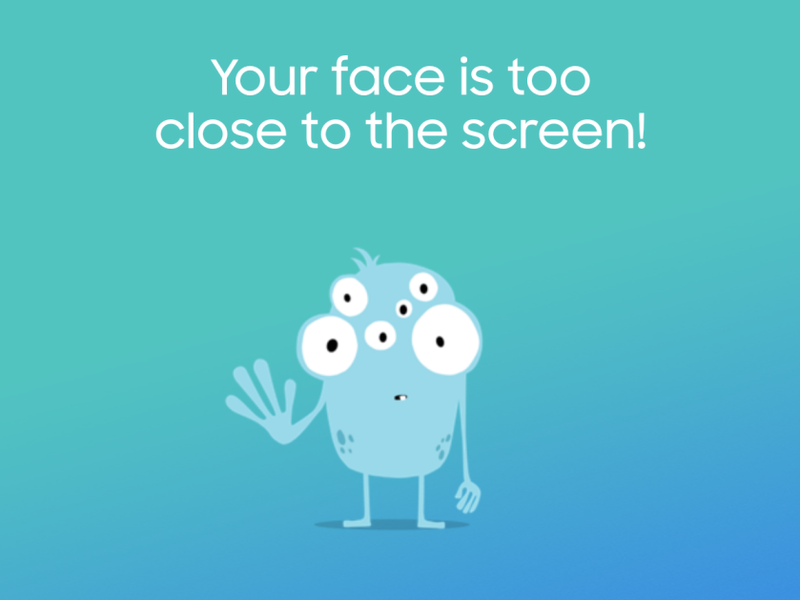 The screen comes back on again when the device is returned to the minimum recommended safe distance, which is around 25cm but varies depending on the size of the screen being observed. The app allows parents to set a password that can prevent children from deactivating the app. Tarek Sabbagh, head of the IT and mobile division at Samsung Gulf Electronics, told Business Insider that Samsung would like to see the technology deployed on as many mobile devices as possible, adding that the South Korean tech giant "will explore developing an iOS version" of the app. According to the Vision Council, an organisation that aims to champion better sight, there is an increase in short sightedness that scientists attribute to a mix of genetic and environmental factors, including increasing near-range activities such as the use of phones and tablets, and decreasing exposure to natural light through outdoor activities. Safety Screen was built by Samsung engineers working in the United Arab Emirates. Samsung said the app has received 16,000 downloads across the Middle East and North Africa region since it was launched two weeks ago. The company did not have any worldwide numbers to share.